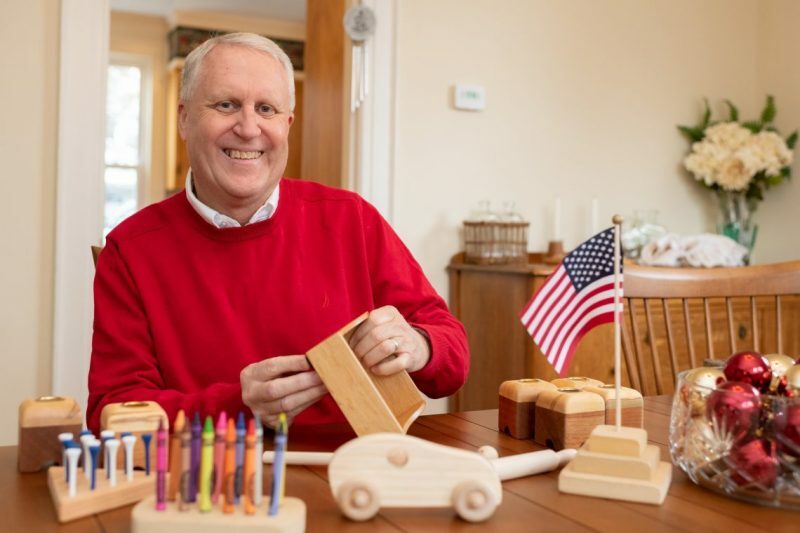 Santa’s Helper Ron Ginder '75 isn't one of Santa's elves; he's a thoughtful alumnus who makes 800 wooden toys each year for Rockbridge-area children. 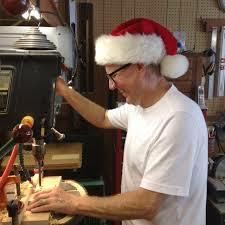 Ron Ginder’s friends and family often call him “Santa” or “the toy man.” The nicknames seem appropriate, since he long ago converted his three-car garage into a workshop where he spends several months each year making wooden Christmas toys for children. “I love the look on children’s faces when they receive a homemade gift,” said Ginder. He has continued the tradition of making toys for more than 20 years because he likes woodworking and hopes that by his example some child might develop an interest in woodworking, too. Ron and his wife, MJ, rediscovered the good life in Lexington when their two children, Mike ’07 and Melissa ’09, were students. They wanted to become involved in the Lexington community, so when a neighbor mentioned the Rockbridge Christmas Baskets, Ginder contacted the organization. They were thrilled with his contribution, and he now works closely with the two W&L employees who chair the annual toy drive. Ginder makes toys for a range of ages. Simple wooden cars might appeal to a younger child, while more complex games challenge the older kids. He works alone in his shop — no elves helping construct upwards of 800 wooden toys per year — but MJ does help package and label them. Ginder painstakingly handcrafts the toys using vintage woodworking tools and then donates them to the Rockbridge Christmas Basket for distribution to children in need in Lexington, Buena Vista and Rockbridge County. Last year, more than 3,000 individuals, including 1,080 children, received food boxes and toys through the 70-year-old charity. This will be the second year that Ginder has donated toys to the Rockbridge Christmas Baskets. Prior to 2017, his handiwork went to churches, hospitals and shelters in Jacksonville, Florida, where he lives most of the year. Ginder never took woodworking classes. “I’m self-taught,” he said. 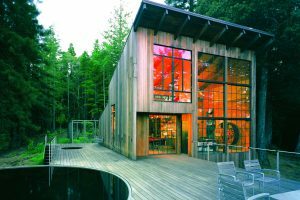 “Wood is a forgiving medium, and I have been able to learn from my mistakes.” He got started out of necessity. When he was a student at W&L living off campus, he needed furniture, so he made some himself and also refinished finds from local thrift stores. Through the years, he has continued to restore antique furniture, as well as make a variety of items, from cutting boards to custom furniture. He uses vintage tools, many as old as 75 years, and has even started a small business buying and selling parts for old tools. Ginder has more “Santa” time now that he has retired from a career in human resources, first at Anheuser-Busch for 20 years before setting up the HR department for the Diocese of Saint Augustine in Jacksonville. A sociology major at Washington and Lee, he went from graduation to a job with the Department of Navy in Norfolk, Virginia, where he joined a personnel management training program. Along the way, he earned a master’s degree from George Washington University. He has no plans to stop making toys for children. Since he and his wife recently purchased a 1930s-era home in historic downtown Lexington, the only change might have to be moving Santa’s workshop from sunny Florida to the more wintry Shenandoah Valley of Virginia. The Rockbridge Christmas Baskets is a 70-year-old nonprofit organization that provides food and toys to families in need at Christmas. Volunteers are needed Dec. 15 from 8 a.m. to 12 p.m. to pack boxes and bags for distribution by fire departments, first aid crews, civic clubs, churches, scout troops, etc. Visit the website for more information.